Your mission is to find a planet or moon to colonize for the kerbalkind. Your Mission is to find out, if the Moon Laythe and the Planet Eeloo are suitable for a colony. 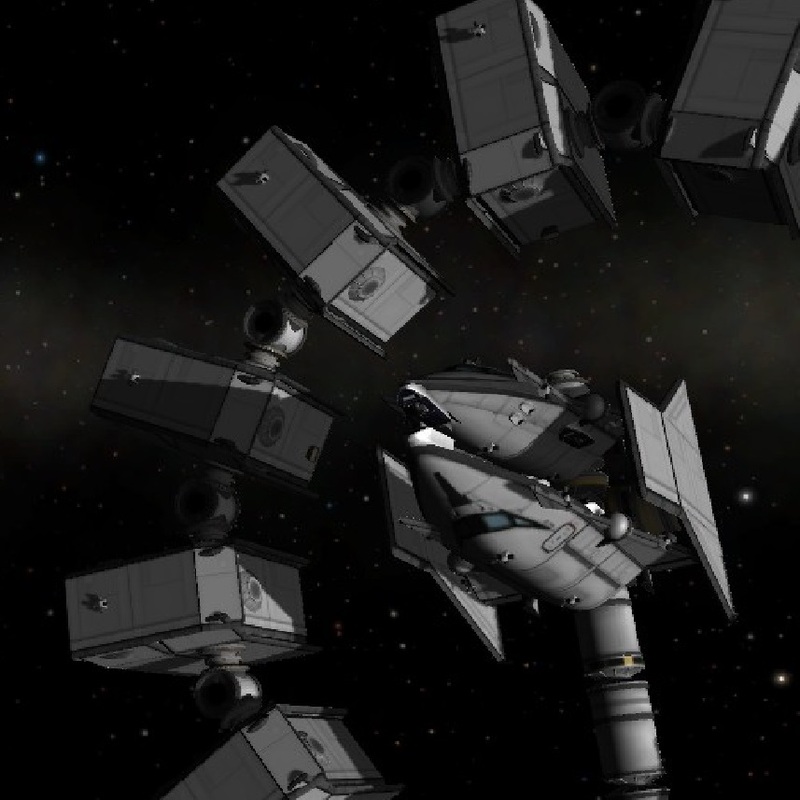 You need a portable spacestation and a lander to get there, build both and we will bring the Station to a 100km orbit around Kerbin, you will have to bring the Lander up and dock yourself. After docking bring the station to Laythe and land the lander. after succesfull touchdown, leave the surface and dock once again. Then you will go to Eeloo and land and redock again. After that, come back home, ditch the Station if you have to. Good Luck and fly save! If you have not noticed, this misson is based on the movie Interstallar, so make it as realistic or uneralistic as you want. Sorry for potential bad grammar and spelling.